(CBS/WBZ/AP) BOSTON - Erica Ryan, a mother accused of punching her toddler son in the mouth on a city bus and shouting expletives at him, was surrounded by a "hostile" crowd of passengers until police arrived, authorities said Wednesday. MBTA police said they were called to the number 23 bus Tuesday around 3:30 p.m. According to the police report, an angry crowd "circled around" 25-year-old Ryan and her one-year-old son, reports CBS station WBZ. An officer separated Ryan and her son from the crowd, but she ran away, shouting "No one is going to take away my baby!" The officer caught up to her and calmed her down.The officer then asked her what happened on the bus. Ryan, according to the police report, said she was trying to feed her baby on the crowded bus when her hand slipped and she "hit him in the mouth," reports the station. In the report, the officer noted that there was dry blood around the child's mouth and he appeared to have been crying. Other officers arrived and spoke to passengers who insisted Ryan hit her son "with a closed fist in the mouth," the report stated. The group also said Ryan was swearing at her son while she was trying to feed him. They claim when the child refused to eat, she punched him in the mouth, reports the station. According to the police report, the group of passengers approached her and she allegedly became irate and told them "no one will tell me how to be a parent." Ryan was arrested and charged with domestic assault and battery. 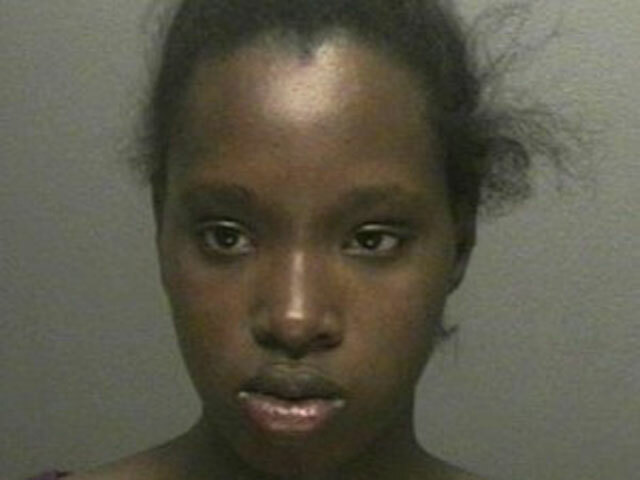 She pleaded not guilty at her arraignment Wednesday in Roxbury District Court. She was ordered held on $500 bail and ordered to stay away from her son, who was treated at Boston Medical Center . The boy is now in the custody of his grandfather.